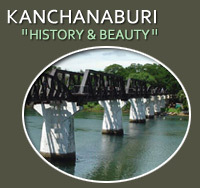 ...but let's not forget that Kanchanaburi province is also one of the country's most naturally beautiful regions. Stunning mountain scenery, caves, some spectacular waterfalls and national parks will certainly keep you occupied while you're here! On the banks of Khwae Yai river (pronounced "Kware"), stands the famous bridge. A lovely spot on the river with small local shops and restaurants. 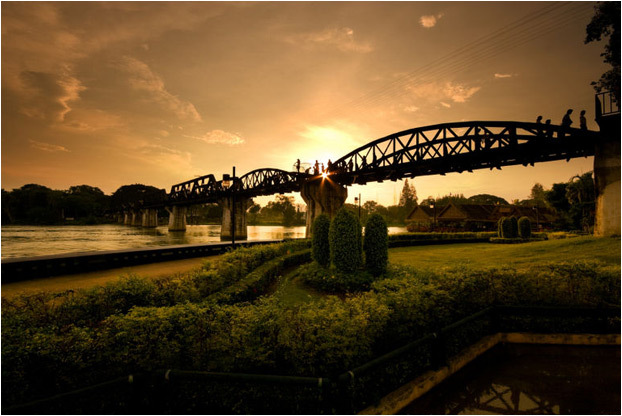 The Bridge was brought from Java by the Japanese Army and was assembled at the River Khwae (Kwai) by the war prisoners, around 200,000 of whom died! Situated next to the Kanchanaburi War Cemetery, this museum depicts the hardship the POW's had in the construction of the "Death Railway" and is a fitting tribute to those who gave their all during World War II. 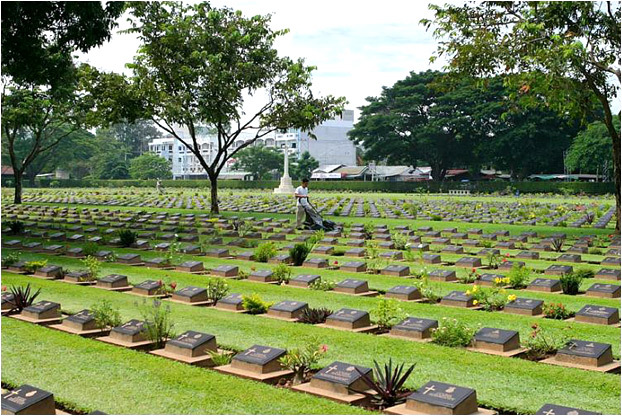 The main cemetery, in the heart of Kanchanaburi town, contains the remains of almost 7,000 POW's who lost their lives during the construction of the "Death Railway". The Japanese, after the invasion of Thailand during World War II, took British, Dutch, Australian and American prisoners from Singapore. The Chong-Kai Cemetery is smaller but more peaceful than the one in town. It is also beautifully arranged with all kinds of flowers and plants. It contains the remains of 1,750 prisoners of war. 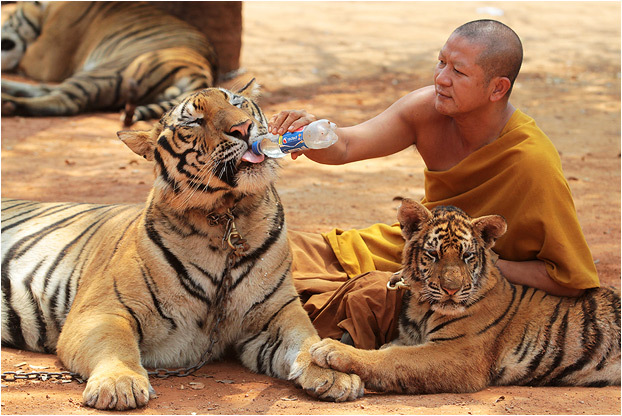 Now over ten years old, this beautiful Buddhist temple keeps and cares for numerous animals, most notably the tigers, who can be stroked by visitors. 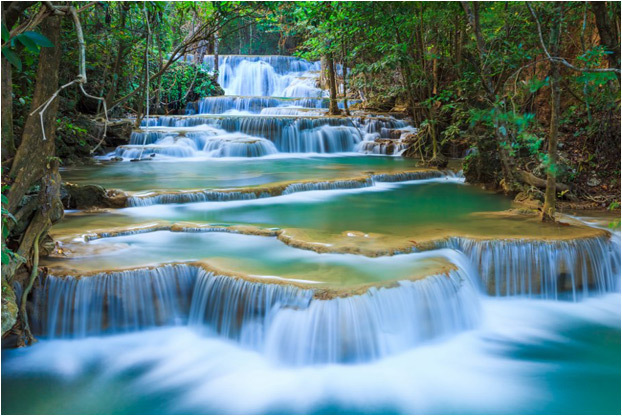 Has two waterfalls, Sai Yok Yai and Sai Yok Noi. To get the full visual impact of the waterfalls, a new suspension bridge has been strung across for tourists to cross over for a view of the falls from the opposite side. A great way to get to Sai Yok is by train, travelling along the famous Death Railway. 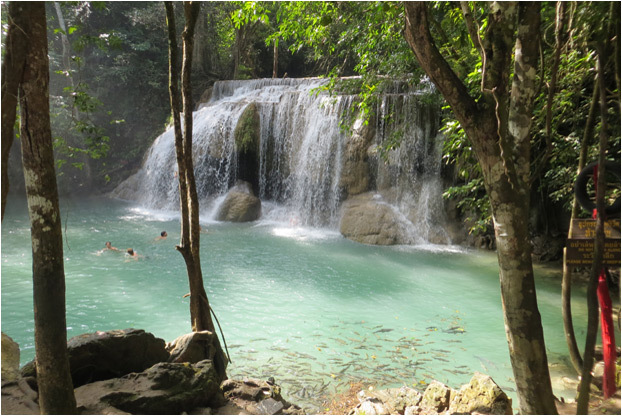 In Erawan National Park, this place is ideal for a whole day picnic with many waterfalls, ponds and streams. You can see rare birds and butterflies flying around on each of the seven levels.